When you’re developing your audiology practice, and creating tinnitus treatment guidelines, consider the efficacy Neuromonics devices can bring to you and your patients. Neuromonics offers devices and treatments for tinnitus that are simple and effective for both the professional and the patient. Audiologists looking to implement best practices for tinnitus treatment will find Neuromonics an essential component of their practices. Neuromonics manufactures and distributes clinically proven, FDA-cleared medical devices to treat tinnitus. Non-invasive devices use compact, lightweight devices use music to deliver a neural stimulus that targets the brain’s auditory pathways. Quickly obtain your patient’s audiogram. Start treatment at the first visit and get patients on the road to relief. Conduct in-office programming, via NeuroFit Application, with the re-designed Oasis™. Neuromonics devotes itself to your success. We are here to help with marketing and making the product affordable for your patients. Contact us for more information. 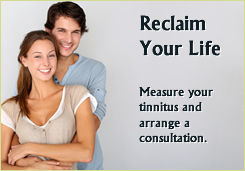 Clinical results – See how Neuromonics works as a best practice tinnitus treatment. Training – Join more than 400 licensed, trained audiologists across four continents providing Neuromonics devices and treatments. Assistance – Learn now Neuromonics can help you develop tinnitus treatment clinical guidelines and build your tinnitus practice.